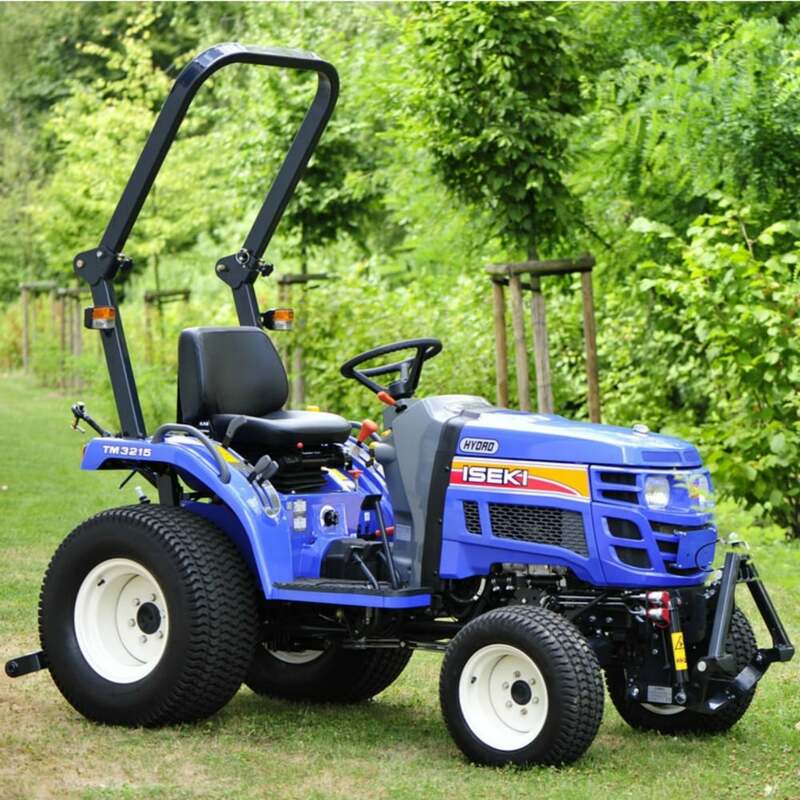 This Iseki TM3215 compact tractor couples excellent performance with high efficiency. It has versatile features and superior performance making it a leader in the compact tractor market. The 3-cylinder engine gives the power to offer a better response in difficult field environments and the front and rear axles can respond to various conditions with wet disc brake built in the rear axle. The 4-wheel drive and differential lock ensure solid traction, even on slopes. The simple construction and easy engine access make daily maintenance straight forward and the floating mount reduces noise and vibration. The TM3215 also has a high comfort seat, rubber mounted operator platform which make working with this tractor a pleasurable task.